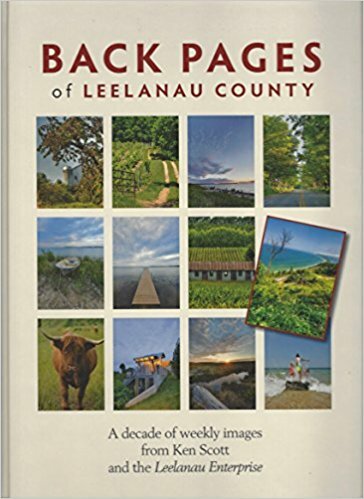 Back Pages of Leelanau County takes readers through a decade of photographs taken by famed outdoor photographer Ken Scott. The book includes every Scott photo published in the Leelanau Enterprise in its cherished position on the back page of Section One. From the first photograph 10 years ago, Scott has every week captured scenes of Sleeping Bear Dunes National Lakeshore, Leelanau's small villages and most other iconic settings that have given Leelanau the simple nickname of, "The County."